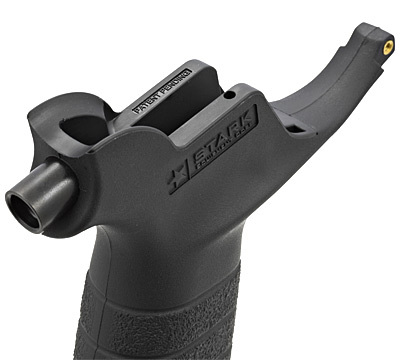 Stark One AR Rifle grip with sling mount swivel mount which allows the attachment of standard push-button sling swivels and delivers maximum firearm control to the shooter. 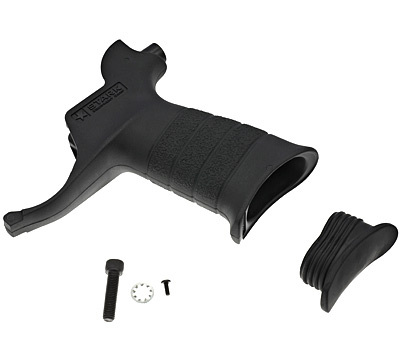 This grip reduces fatigue and assists with maintaining a solid shooting platform. 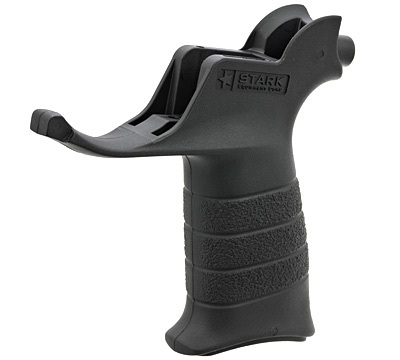 Stark has incorporated an integral trigger guard which is smooth and oversized for use with gloves. The grip features a secure storage space for various sized batteries. 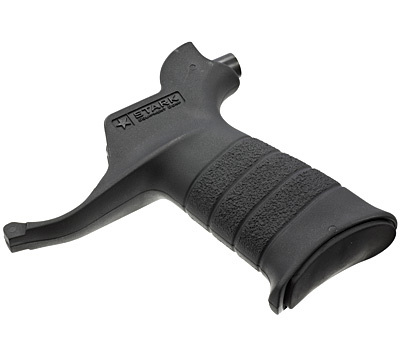 Grips are constructed of a durable, textured material for a reliable grip. Fits any AR style rifle. Made by Stark™ Grips.